THE U23 Olympic football team are the silver lining in the gloom that has enveloped Nigerian football in recent time. The (senior) Super Eagles, U20 Flying Eagles and U17 Golden Eaglets have all failed, successively in recent months, to qualify for their respective African Championships in 2017, while the senior team are underdogs again in their qualifying group for the 2018 FIFA World Cup. If the Eagles fail to beat Algeria, Cameroun and Zambia to the group's sole ticket to Russia 2018, a long stretch of international football inaction lies ahead of Nigeria with the risk of further stagnation or even retrogression in our fortunes and ratings. In comes the U23 "Dream Team" to provide temporary relief. 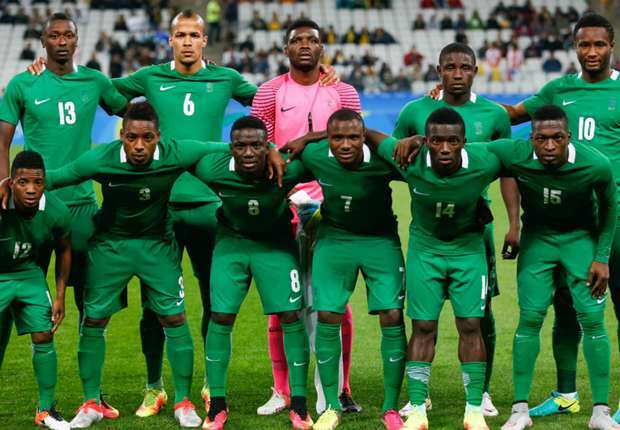 Against all the odds that they encountered en route to the Rio 2016 Olympic Games in Brazil, Samson Siasia's boys emerged with the ONLY medal won by Nigeria at the entire games, never mind that it is a bronze. Surely, these Brilliant Boys deserve to be celebrated for giving us something to cheer about. I understand the feeling of any Nigerian reading this and accusing me of "celebrating mediocrity" and thinking, "this is why our country has not made progress." But the fact is, it's not the fault of the footballers, nor indeed our other sportsmen and women, that the country's sports has fallen short over the years and we are now, literally, on the verge of a total collapse. If anything, it is the never-say-die spirit and resilience of our sportsmen and women that have kept Nigeria in reckoning. So, when they do achieve any sort of accomplishment, we owe them tons of appreciation. One major point that the soccer bronze medal in Rio underscored for Nigeria is that, despite the protestations by other sports, we are first and foremost, a football country. Just like in all the other sports, our preparations for the football event was, to say the least, a disaster. In fact, our footballers made embarrassing global headline as the last contingent to arrive in Brazil, just a few hours to their first game against Japan, in spite of a four-year notice! Yet they won that game and soldiered on to come home with the bronze medal. That cannot be happenstance. Football is in the Nigerian DNA, ahead of other sports. You don't have to dig too deep to strike our soccer oil. It's boiling angrily, close to the surface. Indeed, you must have abundant natural ability to be able to overcome the extreme logistical, emotional, physical and psychological nightmares that our boys confronted and still emerge victorious against better-prepared (but arguably lesser endowed) opponents like our boys did in Rio. The first time we met an established world footballing power (Germany) at the semi-final, (our last group match defeat to Colombia was inconsequential because we had nothing at stake then), our limitations were exposed. Remember, football is in the German DNA, too, ahead of other sports. Furthermore, the bronze medal in Rio has made it a complete set of medals for Nigeria in football, following our historic Gold at Atlanta '96 and the Silver at Beijing 2008, the latter won by the same coach as in Rio 2016, Samson Siasia. Not many countries in the world can boast of such a remarkable collection in the football event of the Olympics Games. Ironically, whether Siasia's boys could have done better in Rio with a less dramatic arrival and less stressful participation is open to question. I spoke to former national team captain Chief Segun Odegbami after the miraculous opening win over Japan and reminded him about his theory that Nigerian teams only seem to prosper in an atmosphere of disorderliness and confusion. Odegbami laughed, but my point was not lost on him. Who knows whether the U23 lads would have been too relaxed and less determined to "prove a point" had their road to Rio been smooth and comfy! It was a similar scenario 20 years ago in Atlanta '96, when our players led by captain Nwankwo Kanu had to drive themselves to training in rented cars because there was no team bus and no driver; and pay hotel bills from their pockets because money was late in coming from the administrators. I travelled with that team to all their match venues in America and witnessed how the coach, Dutchman Jo Bonfrere, persistently fought a battle of wits with the then minister of sport, Chief Jim Nwobodo, over his salary and bonuses before emerging victorious. Therefore, Siasia's altercations with the current minister of sport, Solomon Dalung, is a "normal" occurrence in Nigerian team camps while captain Mikel Obi's reported payments for team expenses is not unprecedented. Our football teams seem to revel in the face of adversity. That, also, is in the Nigerian DNA. Congratulations, Siasia, Mikel and the rest of our Rio Olympic heroes, the Dream Team Class of 2016. You were all simply brilliant!